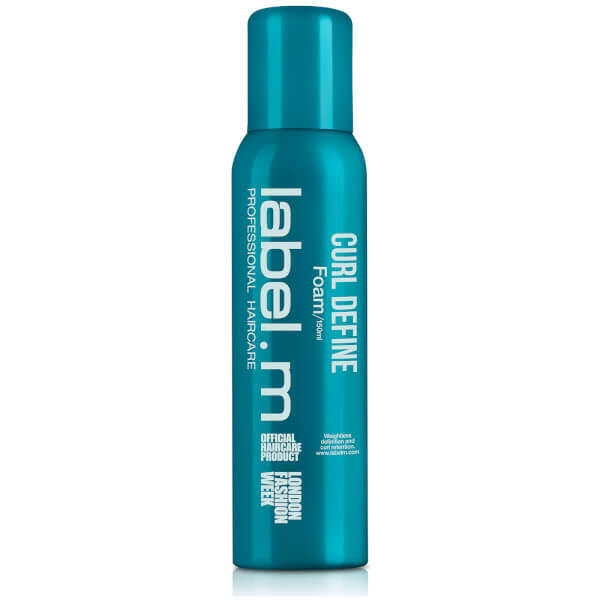 Maintain smooth, bouncy curls with the label.m Curl Define Foam, a multi-tasking hair foam that works to moisturise, tame and define curls while enhancing elasticity. Lightweight yet nourishing, the curl-defining foam utilises an exclusive Rice Curl Complex which optimises your hair's condition while strengthening and enhancing curl definition. Its cocktail of smoothing and controlling active ingredients work in synergy to preserve natural bounce and improve elasticity. A blend of Rice Amino Acids, Tomato Biofermant and Keratin Amino Acids restore protein bonds for optimum curl retention, flexible hold and humidity resistance. 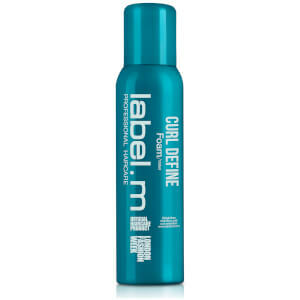 Eliminates frizz and restores shine without compromising volume. Fortified with an innovative Enviroshield Complex exclusive to label.m which shields against heat styling and UV rays while re-igniting shine. Perfect for fine/normal hair types. Free from sulphate and parabens.